Laura Nava is a Registered Foreign Legal Consultant in California and is licensed to practice in Mexico and New York. She is a member of the Corporate and Labor and Employment Practice Groups in the firm's San Diego (Del Mar) and New York offices. 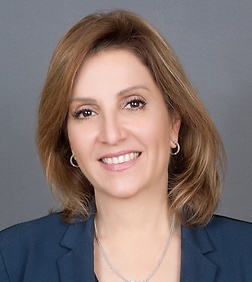 Ms. Nava is an international business and real estate lawyer with over 25 years of experience. Her practice focuses on cross-border transactions involving Mexico and other countries of Latin America. Within her cross-border practice, Ms. Nava has extensive experience in mergers and acquisitions, commercial and technology licensing agreements, financing transactions, international trade, customs and NAFTA, employment matters, real estate development (resort and residential projects), acquisition and leasing of real estate, matters involving Mexican trusts (fideicomisos), energy projects, and the start-up of manufacturing operations. Ms. Nava also handles international mediation cases involving cross-border issues or Spanish-speaking parties. Ms. Nava has been licensed as an attorney in Mexico since 1991 and was recently admitted to practice in New York. Ms. Nava practiced law in Mexico from 1989 to 1996 and since 1996 has practiced in the US with major law firms until joining Sheppard Mullin in 2017. Ms. Nava is fluent in Spanish and English, and conversant in French. Acting as mediator and arbitrator for disputes and controversies between US corporations and Mexican/Latin American corporations and individuals. Representing various US companies involved in maquiladora manufacturing operations in Mexico, including corporate and IMMEX compliance, employment issues, construction agreements, real estate leases and acquisitions and operational issues. Representing US and Mexican companies in connection with customs and international trade matters; including import and export controls and related issues. Representing a US developer of condominiums and a resort hotel in Baja California, Mexico, including advice on corporate structuring, condominium regime, ejido matters, and other real estate issues. Representing Mexican landowners regarding sale or joint development of Mexican real estate, including response to due diligence requests, deal structuring and documentation. Representing various US companies with financing transactions, secured under Mexican law with traditional mortgages and non-possessory pledge (security) agreements. Representing US companies in connection with Mexican human resources and employment issues. Representing borrowers in Mexico with lending transactions secured by pledge (security) agreements. Representing US companies buying and/or selling companies and operations in Mexico, assisting with due diligence, corporate compliance, employment law, real estate issues, stock transfer, and related matters. Representing Sares Regis/Prudential Real Estate in sale of industrial properties in Baja California, sold for US$16 million; advised clients on real estate, ejido issues, industrial development, FCPA compliance and related matters. Representing Silicon Border Industrial Park in Baja California as borrower in US$27 million credit transaction with ING Clarion using pledge (security) agreement and multiple mortgages. Representing Heller Financial on Mexico-related lending transactions totaling US$20 million, involving non-recourse loans to a leasing company in Mexico. Representing Sempra Energy (NYSE), the parent company for San Diego Gas & Electric and Southern California Gas, with respect to its Mexico projects. For its gas pipeline projects, involved in forming the Mexican joint venture companies, drafting the joint venture agreements and forming other Mexican subsidiaries. Representation of various US investors regarding investment in Mexican companies, including due diligence, structuring and documentation. Casa Cornelia - Assisting in asylum matters and visas.